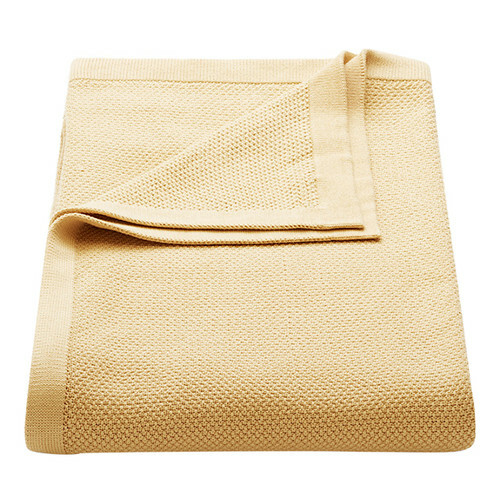 The Sala Lounge Throw is knitted from 100% pure cotton. Soft and light, it has been expertly designed to retain its shape and luxury feel for years to come. The generous size ensures it has versatility, so it can be used over the back of your sofa as a tactile point of difference, or as an extra layer on your bed in the cooler months. Today, Flaxfield Linen has built a profile as a preferred supplier to exclusive resorts, boutique hotels and esteemed interior designers. None of their products are sourced, every item is still carefully designed in-house from pattern-making to digitising, specifying the yarn and weave of the fabric through to colour selection, packaging and delivery. Flaxfield Linen has crafted a stunning collection of soft furnishings that are classic and timeless, that can be mixed, matched and layered and now, their sought-after style is available online for linen lovers everywhere. 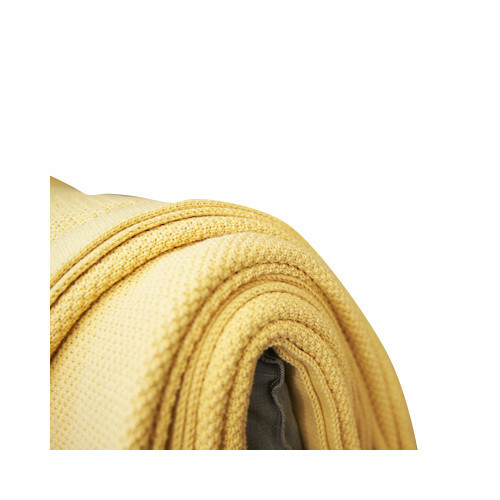 When you buy a Sala Lounge Sahara Knitted Lounge Throw online from Temple & Webster in Australia, we make it as easy as possible for you to find out when your product will be delivered to your home in Melbourne, Sydney or any major city. You can check on a delivery estimate for the Flaxfield Linen Part #: SAL-L-Sa here. If you have any questions about your purchase or any other Blankets & Throws product for sale our customer service representatives are available to help.Whether you just want to buy a Sala Lounge Sahara Knitted Lounge Throw or shop for your entire home, Temple & Webster has a zillion things home.